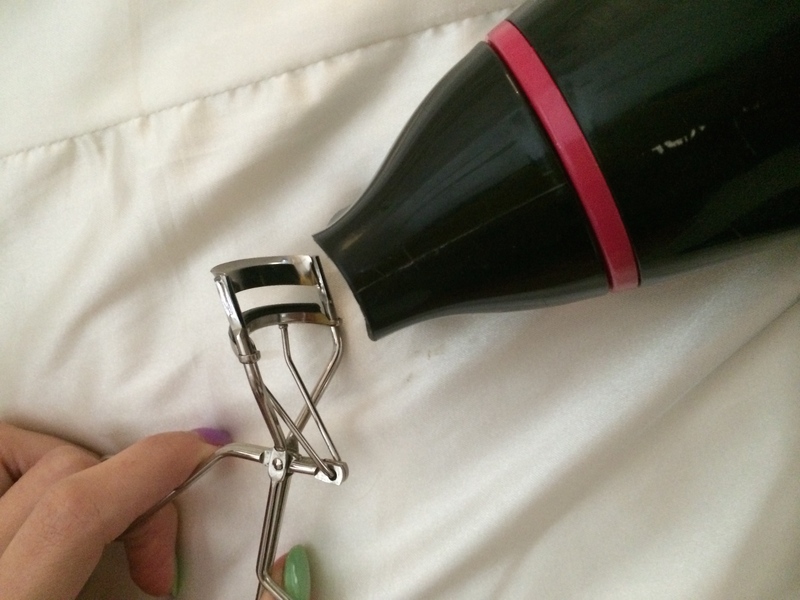 Today, I am going to share with all you girls this simple yet really effective way to curl your eyelashes with tools that you definitely have at home – a hairdryer & your eyelash curler. 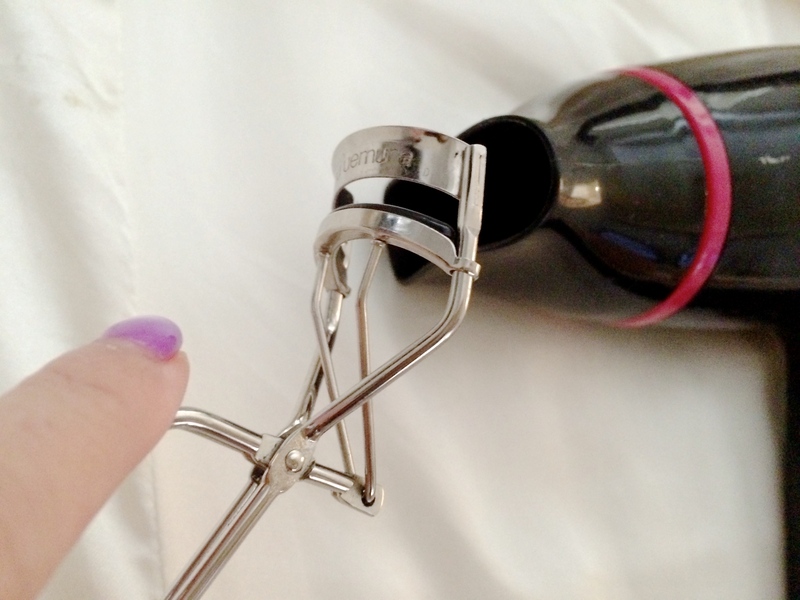 Firstly, choose a good eyelash curler suitable to the shape of your eye socket. 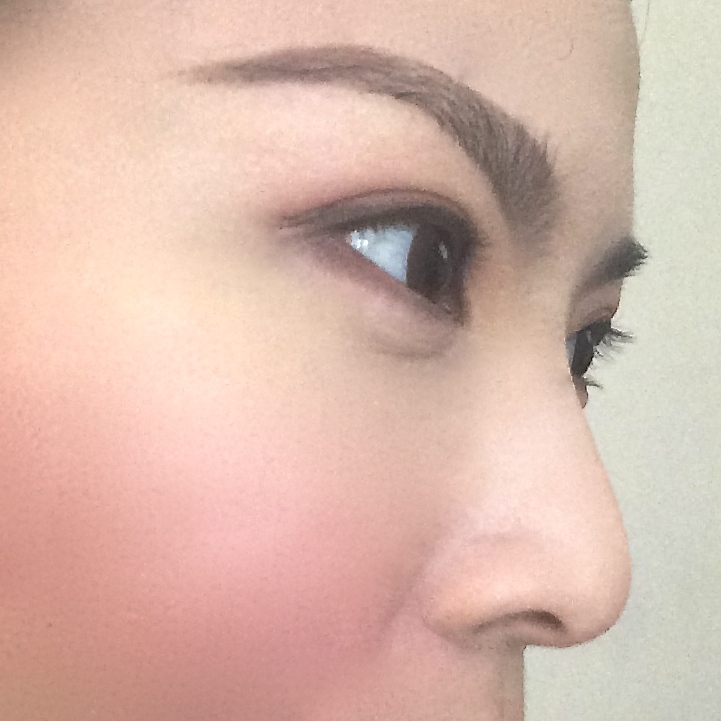 To me, Asian eyes tend to be less deep set and flatter in the curvature, so brands like Shu Uemura & Shiseido are likely to be more suitable to our eyes. My personal favourite is Shu Uemura. Invest in a good eyelash curler and it will last you for many years! I have typically Asian eyelashes, short & straight, but I found a way to keep my lashes curled all day with heavy layers of mascara. Usually, with many layers of mascara, my lashes tend to droop pretty quickly and loose the curled effect. 1. Heat up the eyelash curler with your hairdryer at low speed for 5-10 seconds till the curler is heated up but not too hot on your eyelids. 2. Curl your lashes as per normal. Gently clamp down on your lashes closest to your eyelids, release, and clamp down again in an upward motion towards the tip of your eyelashes almost perpendicular to your eye. It is about 10 gentle clamps with the curler. TIP: Make sure you do not heat your eyelash curler for more than 10 seconds or you may overheat the metal and burn your eyelids. 3. Repeat Step 1 and Step 2. I usually will do this 3 times on each eye. 4. 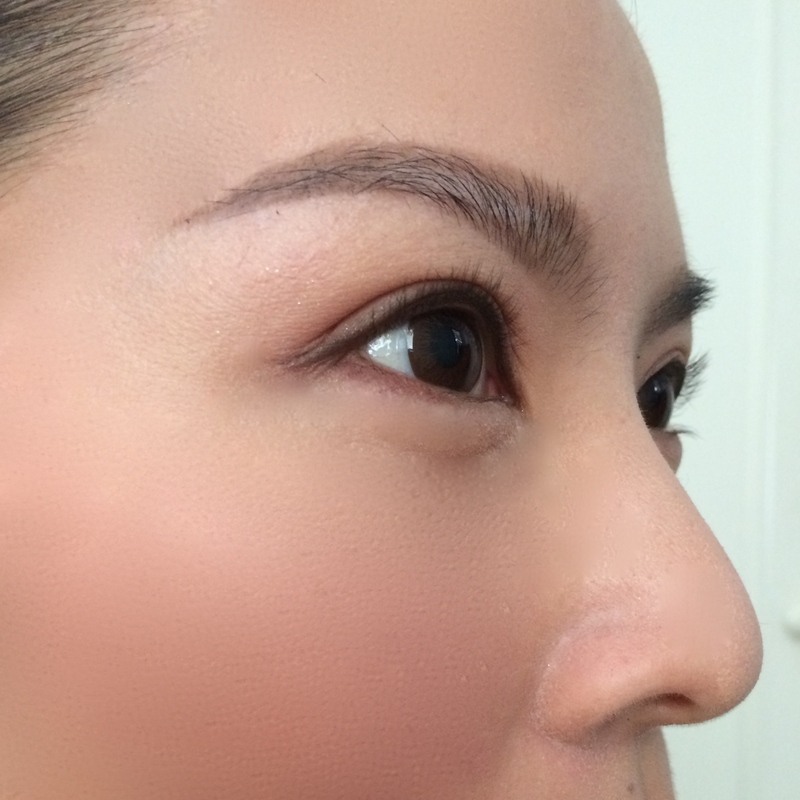 Once you have achieved the curled effect you want, apply 2-3 coats of mascara. 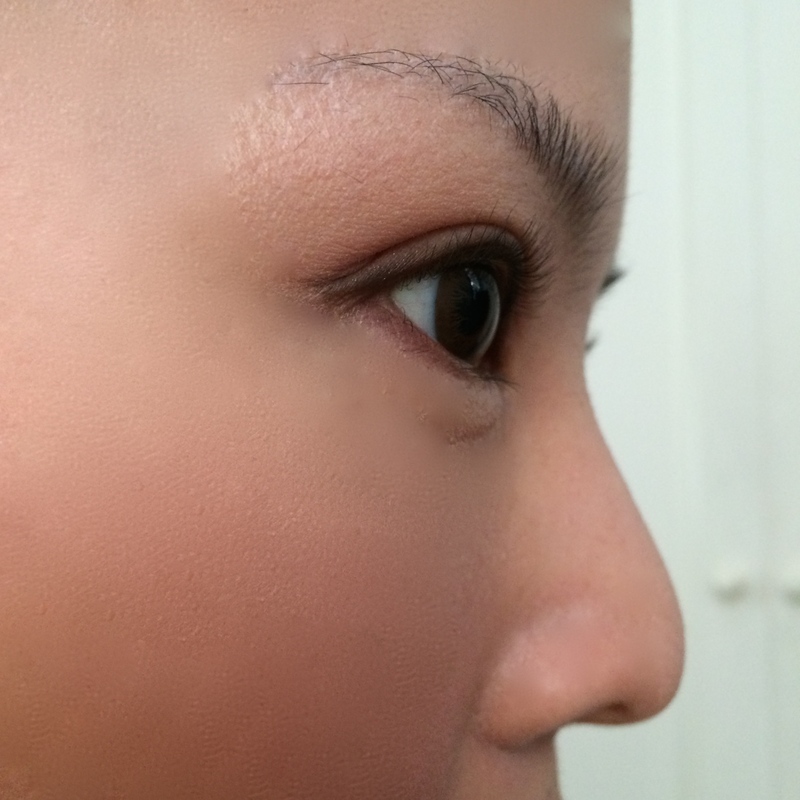 A false lash effect achieved! I find this method much more effective than just using an eyelash curler on its own, or even an expensive heated eyelash curler. Especially for my type of short and straight eyelashes. The compression and heat from using a hairdryer with your eyelash curler will create a temporary permed effect to last you throughout the day. It’s the same concept as using a heated tong for your hair to create curls – this is the miniature version! Ever since I went to Tokyo over the Easter long weekend to celebrate my birthday, I was inspired to have my hair curled and styled just like the Japanese! So when I returned back to Hong Kong, I immediately took out my new Miracurl and started fiddling with it. And it was a pleasant surprise that Miracurl made, the once gruelling and time-consuming, hair-curling easy and straightforward more than ever. Previously, I used my heating tongs (which I had given away since) to create curly locks on my own. This always took me eons and I had to be constantly mindful to not burn my face/neck with the heating tong… Hence, unless I had tons of time, I would never touch those heating tongs. But with this latest product from Babyliss Pro, it took me a mere 10 minutes or less! And the curls turned out beautiful and looked as if they were professionally done. It is such a simple tool to use – basically you section your hair no more than 3cm, put the bunch of hair into the V-shaped part of the Miracurl, squeeze, wait for 10 seconds, and it’s done! LOG-ON, City Store, SOGO, AEON, Fortress, Rosy Rain at HKD$1689. Selected Watsons stores island-wide at promotional price of SGD$199 from 01-28 May 2014. Retail price is SGD$259. 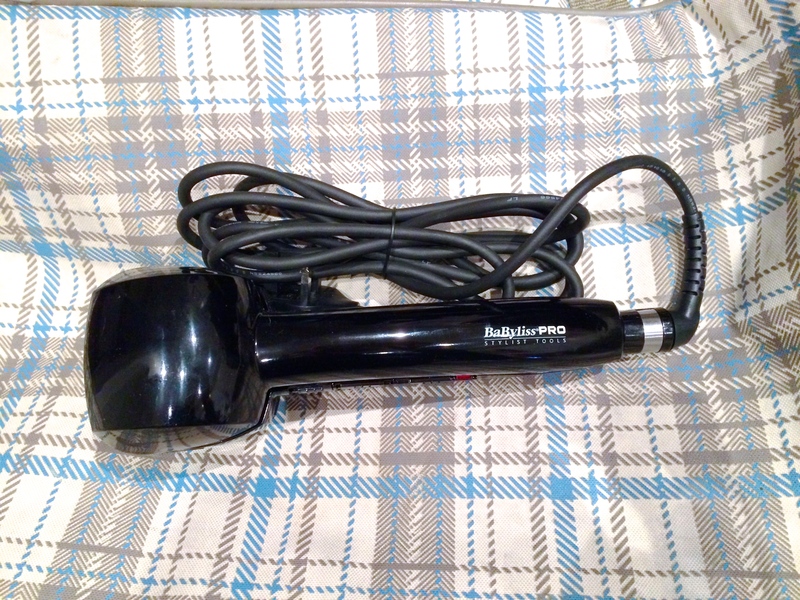 I know it is one of the more pricey hair curlers in the market, but it is worth every penny; it saves time, it is safe (no more burning of your face or neck *ouch! *) and it is versatile with any hair length! (you can share this with just about anyone, including your boyfriend). Also, be mindful of the cheaper priced “Miracurls” in the market as there are plenty of knock-offs owing to its world-wide popularity. These knock-offs may not have complied with strict quality controls and may be a hazard to use.